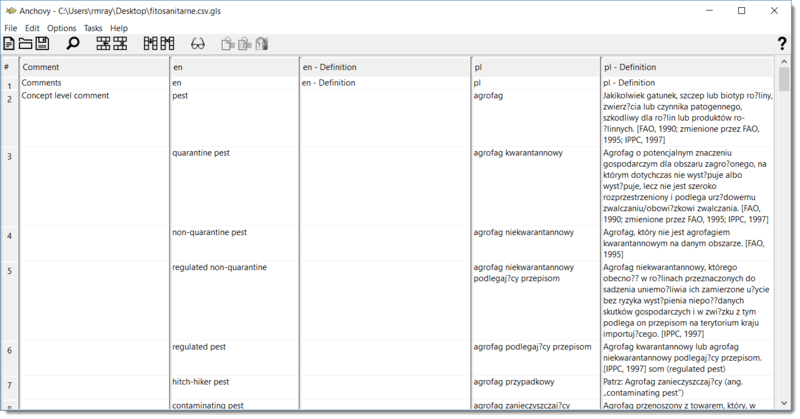 Anchovy is a multilingual cross-platform glossary editor and term extraction tool based on the open Glossary Markup Language (GlossML) format. Anchovy is included in Swordfish III installers as free plugin. 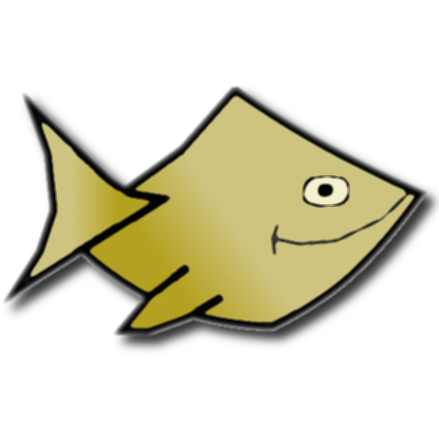 Anchovy solves the usual problems associated with glossary data exchange in translation industry: character corruption when using CSV format or extreme complexity when using XML formats intended for terminology management, not glossary exchange. GlossML is the right choice for storing glossary data. A glossary is a list of terms and their definitions. GlossML allows you to store just that in XML format, without further complications. HTML Standard web pages that can be viewed in any browser. TMX TMX 1.4, for easy import into standard translation memories. TBX TBX with default XCS definitions. XML Any XML-based vocabulary, using the incorporated XSL transformation engine. Fixed bilingual term extraction on macOS. Fixed conversion of GlossML files to TMX, TBX and HTML when using Java 9. Fixed conversion of TMX to GlossML for files with non-ASCII characters in their names. Improved data management and export processes. Added bilingual term extraction from TMX files. Fixed term extraction from MS Office documents. Added option for converting TMX files to GlossML format. Fixed term extractions allowing extraction of terms with only 1 word. Fixed export as CSV using tab characters as column delimiters. Fixed export as TMX/TBX adding support for file names with Asian characters.